Wishing everyone a very Happy and prosperous Makarsankranti and Happy Lohri. 14th of January in India is a day where whole India celebrates sankranti in inumerable ways. In Punjab people celebrate Lohri, in east India as makar sankranti , in south India as pongal and in Gujrat the whole sky is filled with kites :-). 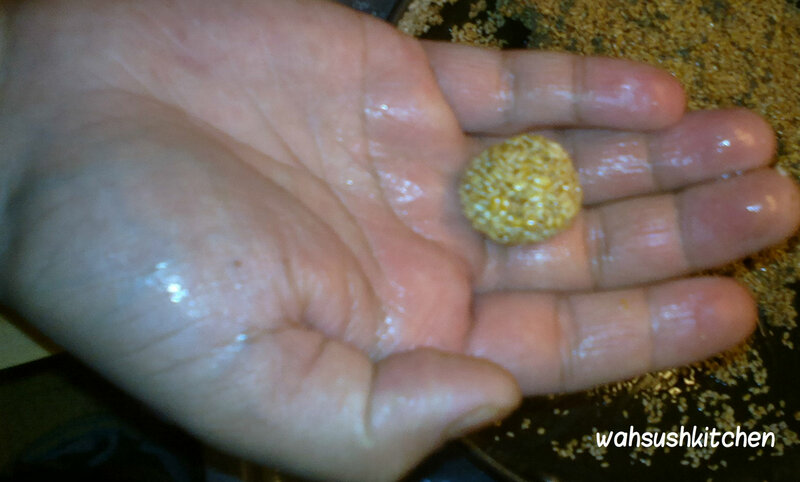 On this very day people do eat varity of dishes made with the Sesame seed. 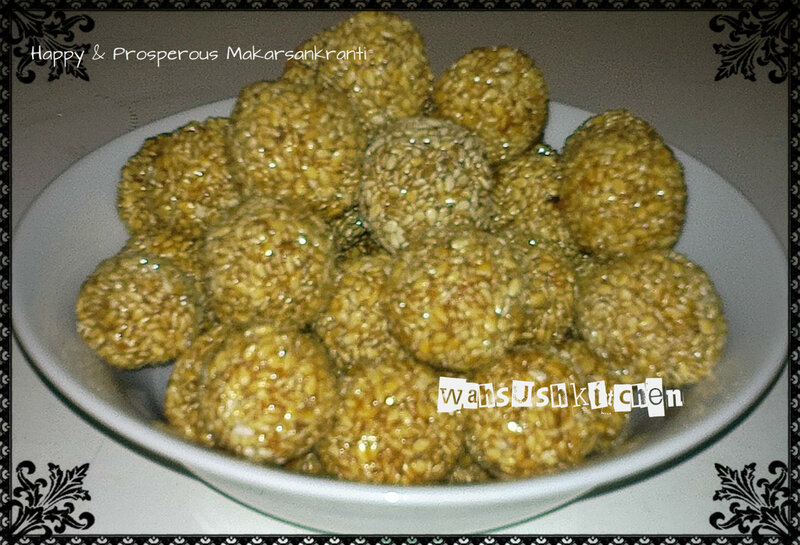 One of the most popular dish is the Til k ladoo. In this post i will be detailing the recipe. Its sweet and mouth watering dish. Roast the sesame seed until they turn crispy and light brown in color. Once roasted cool them off. 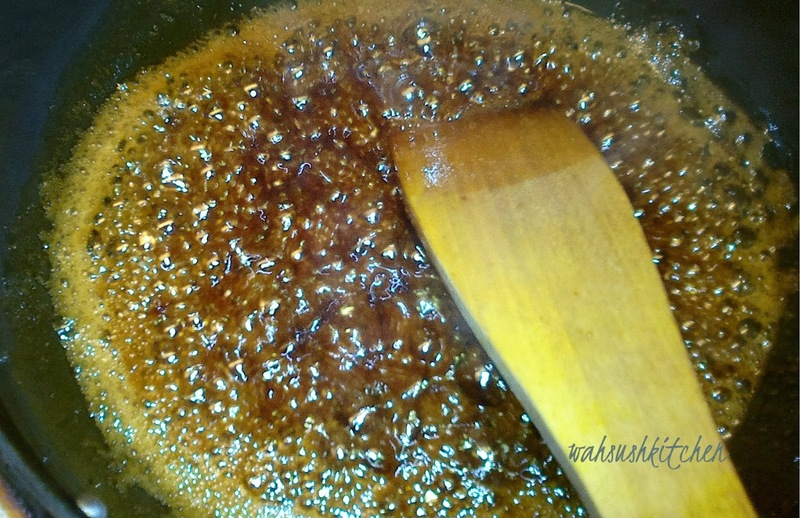 Heat one kadai, switch to medium flame, add water and jaggery. Keep on stirring until the jaggery melts and a syrup kind of solution appears. To check weather right consistency of syrup is achieved or not , we can do a water test. Take water in a bowl. To this add one drop of syrup with the help of spatula. if it spreads in water we have to wait for little more. 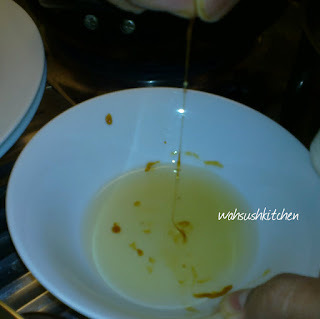 Once the drops settles at the bottom, rub it between your fingers if u find it sticky and also string like ....that's it ... u have reached to the right consistency of syrup. Immediately turn off the heat or take the kadai off the heat. Add the roasted sesame seed. mix well. Now grease your palms with water and make small rolls while the mixture is still warm or little more than warm. Be careful dont burn your hand. Let the balls cool off. store them in an airtight jar or box. This will last for atleast a month.